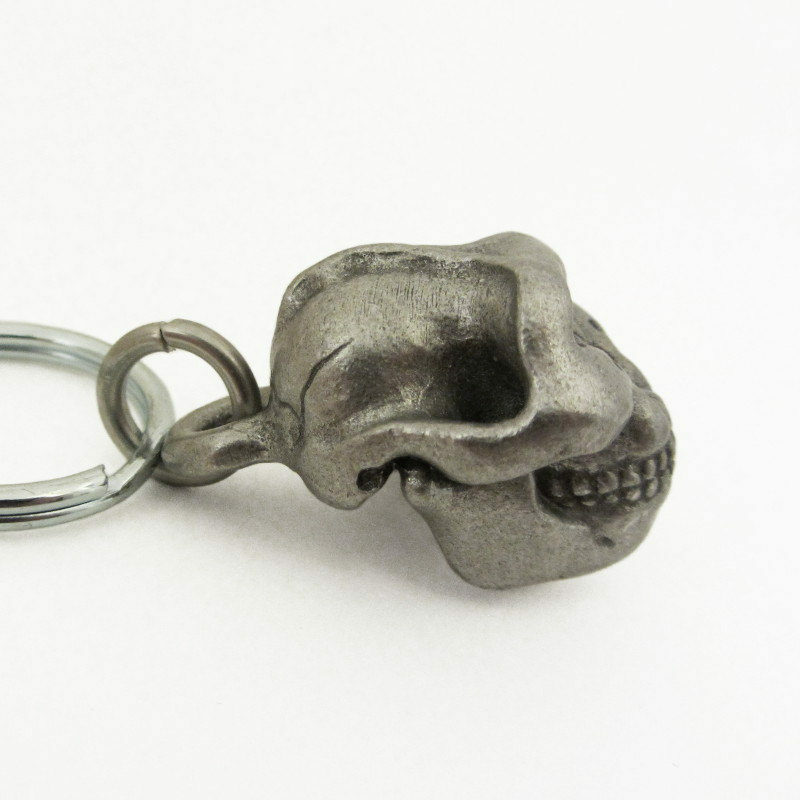 Show your love of paleoanthropology with this handmade pewter “Zinj” keychain. 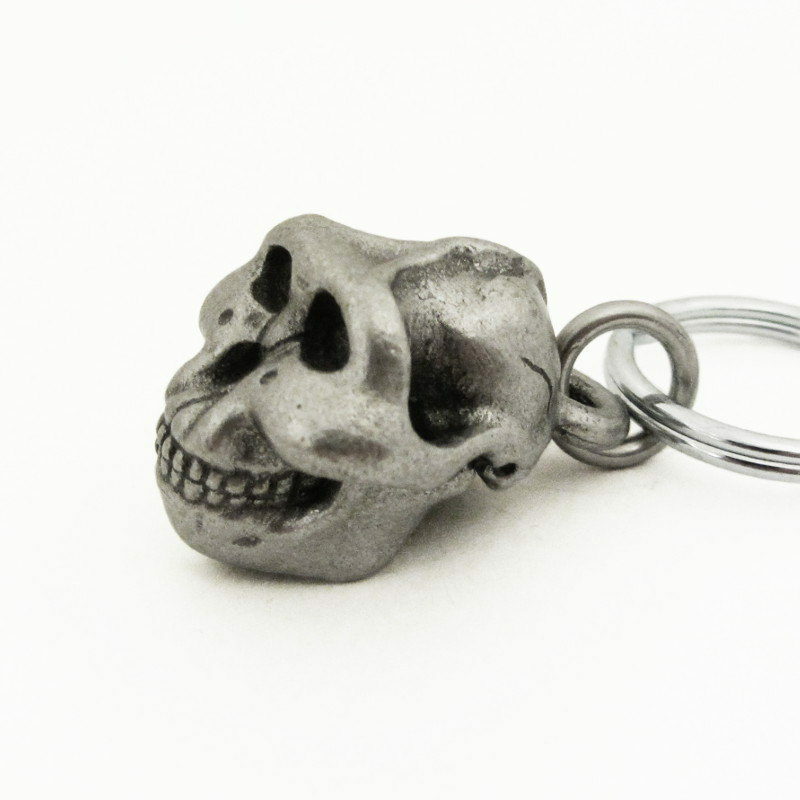 This Paranthropus boisei skull is accurately reproduced from nature and is painstakingly hand carved and cast in genuine pewter. 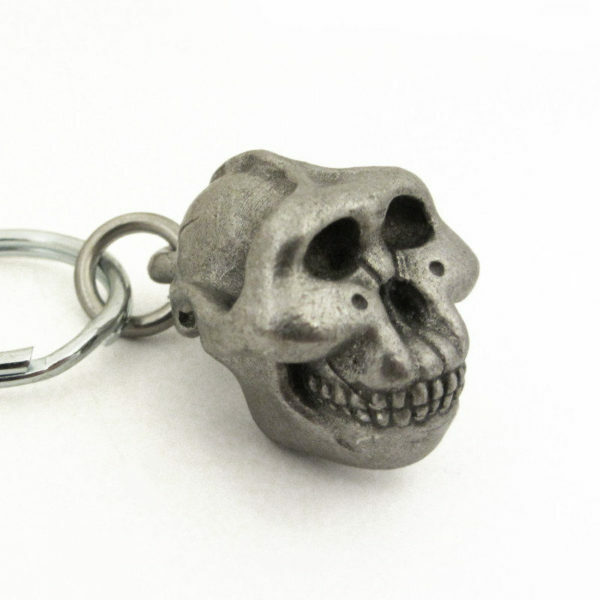 Show your love of paleoanthropology with this handmade keychain. This handmade Paranthropus boisei skull keychain is a miniature reproduction of the famous “Zinj” skull discovered by the Leakeys in 1959. 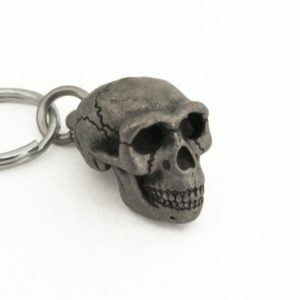 It is painstakingly hand carved and cast in genuine pewter. It also comes with a small clip so it can be used as a zipper pull. 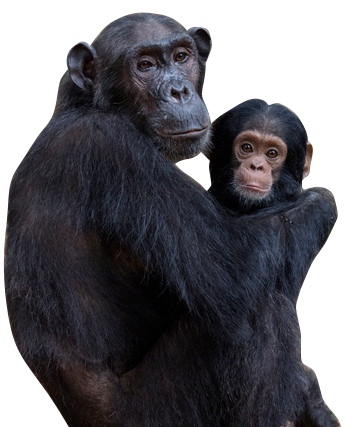 This ancient hominin lived 2.3 to 1.2 million years ago in Eastern Africa. P. boisei is characterized by a skull with adaptations for heavy chewing. It has a strong sagittal crest on the top of the skull which anchored the large chewing muscles needed to work the massive jaw. It had flared cheekbones, which gave it a wide face. P. boisei also had massive cheek teeth, which were four times larger than modern human teeth! Your purchase of this item helps The Leakey Foundation carry on Mary and Louis Leakey’s legacy of exploration and discovery. I bought this for myself last December and I am completely delighted with it! 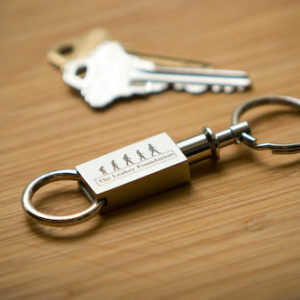 The keychain’s workmanship is outstanding. It has a great weight to it. A wonderful keychain, unique for sure, and a great conversation piece! Thank you! I love this key chain. “Dear boy” goes everywhere I go now. It’s solid and withstands my rough and rumble lifestyle. The only downside is everyone wants one for their birthday!